I am not sure if you have noticed, but I am ALL about easy. Life is busy enough without adding extra fluff and steps to the things we do. So when we started on our Paleo journey I knew I needed to make this easy for us to integrate into our lives. Paleo means mostly making things from scratch and that can be tough. Ask me about the time my darling removed my hot freshly baked cake from the tin and it tore in half. The cake that needed almond butter, a whole cup of it that I had slowly made in the food processor. The cake that was needed for that afternoon. From scratch means from scratch as while you can buy Paleo food, it costs far too much and it’s so much cheaper to make your own. From scratch and making your own ingredients takes time and if you can save some time I am all over that! There are a couple of kitchen appliances that have made Paleo a lot easier for us and saved us time and money. These are NOT ESSENTIAL TO HAVE- I am “shouting” in caps as I do not want any other Mums/ women out there to think that you can’t do Paleo if you don’t have these items. YOU CAN (shouting again in love) do Paleo without them, it just makes things a wee bit more time consuming. A crockpot makes creating bone broths, soups, stews and a lot of other dishes really easy. You can prep a meal in the morning and basically walk away until dinner when a beautiful cooked meal is ready. 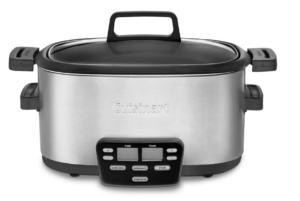 A crockpot or slow cooker cooks food over a long period of time at a lower heat. This also helps retain nutrients in the food. Beware though that a lot of crockpots have lead in the glaze. Nice. I researched and found that Cuisinart and Kitchenaid don’t. I got a Cuisinart and love it. Look for one that can braise/ brown your meat before starting the slow cooking process to save you doing this in another pot and transferring to the crockpot. Why wash two pots when you can wash one? A crock pot is helpful as you do so much prep with Paleo that if you can save time and effort in cooking, it’s a life saver. This is a piece of equipment I use multiple times a week. It’s a little oven that cooks food at a very low temperature. This helps to lock nutrients in as the food is not heated to a point where nutrients are destroyed. The food is classified as “raw” and this is the method of cooking a lot of raw cafes use. 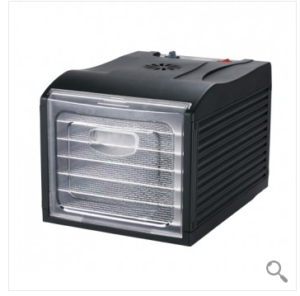 I use mine to dehydrate the almonds and cashews I use in all my baking. I soak the nuts to activate them and then dehydrate them. I make dried fruits and paleo cereals in the dehydrator as well as dehydrating almond pulp (after making almond milk). The uses are endless. I got a Biochef 6 tray dehydrator. It works well. The only thing I would have liked is a timer- with mine I need to time it myself. Luckily with a dehydrator it’s a little less specific than a conventional oven and a few minutes here or there don’t make a difference to the end result. 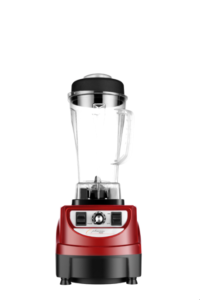 A blender is essential for making smoothies. We make smoothies every day as it’s such an easy way to get greens into the kiddies. This is probably a piece of equipment that you can’t do without. You could in theory use a stick or hand held blender but it’s not really powerful enough. I love my blender. I could not afford a Vitamix so got a Optimum instead. Optimum are the Aussie version of the US Vitamix. I am really happy with it. This is also a piece of equipment you can’t do without. 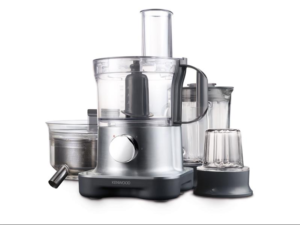 Fortunately most of us already have a food processor in our kitchen so this is generally not an investment you are making when starting paleo. I use mine multiple times a week in baking and cooking. It does so much I can’t list everything. I can’t find a picture of my old 15 year old Kenwood so the picture is my dream one. My old one is working just fine so it will be a while. You don’t need all the bells and whistles of a new one although of course that would be lovely! This is not essential and you can get by without one. But it’s a wonderful asset to the Paleo kitchen! The best juicers are cold pressed juicers which means the juice is extracted slowly and without any heat. All the nutrients are retained plus the juice lasts up to 3 days in the fridge with the nutrients intact. 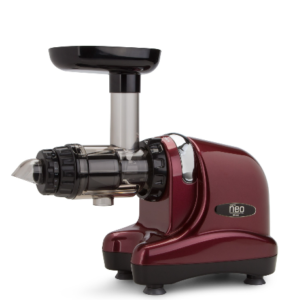 Cold pressed juicers are more expensive and you can get by with a “normal” juicer. You will need to drink the juice straight away though as the nutrients do not last due to the heat involved in extracting the juice. We love our juicer and got an Oscar Neo cold pressed juicer. We should juice a lot more but the cleaning up stops us to be honest. My aim is to up our game with juicing and get into a routine with it. So! Those are my top 5 pieces of kitchen equipment that make Paleo a little easier for us. We use these items all the time and love them. Paleo IS worth the time and effort and if you can give yourself a helping hand along the way, why not.